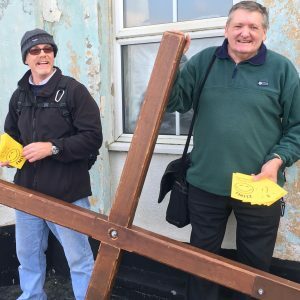 Cornerstone Norwich – Also in Sheringham! 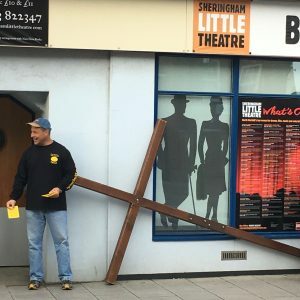 Cornerstone has had strong links with Sheringham from its beginning. 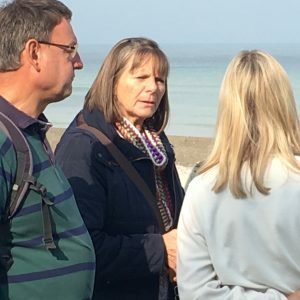 Working out the same vision in Sheringham, strongly supported by the church in Norwich, we hold regular Wednesday evening meetings at Oddfellows Hall, 7.45pm. They are always full of life! We don’t meet on Sundays but choose to encourage and emphasise the whole body to be church all week long wherever God has put them! Nor do we seek to grow through ‘transfer growth’ from other churches (unless its obvious that God is sending them along). Rather, we look for the unsaved, and those we might call ‘prodigals’, those who know the Lord but, for whatever reason, have moved away from ‘church’. It is this latter group of people we in Sheringham particularly have on our hearts. The leader in Sheringham is Leonard Perrott. Leonard is a Director in a family run business located in Sheringham. But when he was still a great way off, His Father saw him and had compassion, and ran and fell on his neck and kissed him. (Luke 15: v 20 – 24 – The Parable of the Lost Son). We want to see all those who have called upon ‘The name of the Lord’, but have fallen away, or have come out of fellowship with other believers, to know that they are continually loved by our Father. The Parable of ‘The Lost Son’, in part, shows how God is waiting for us to come back into relationship with Him and to know the true depth of His love for us. In response to this calling we are eager to encourage all believers to know what it means to be in Christ Jesus and to be ready for Christ`s coming again. We also have a warm welcome in our meetings for those who are enquiring or sceptical about the faith that we profess. It is a privilege to share the story of salvation as given to us in the Bible; and it is our hope that all who hear this life changing message will place their trust in the Lord Jesus for themselves.